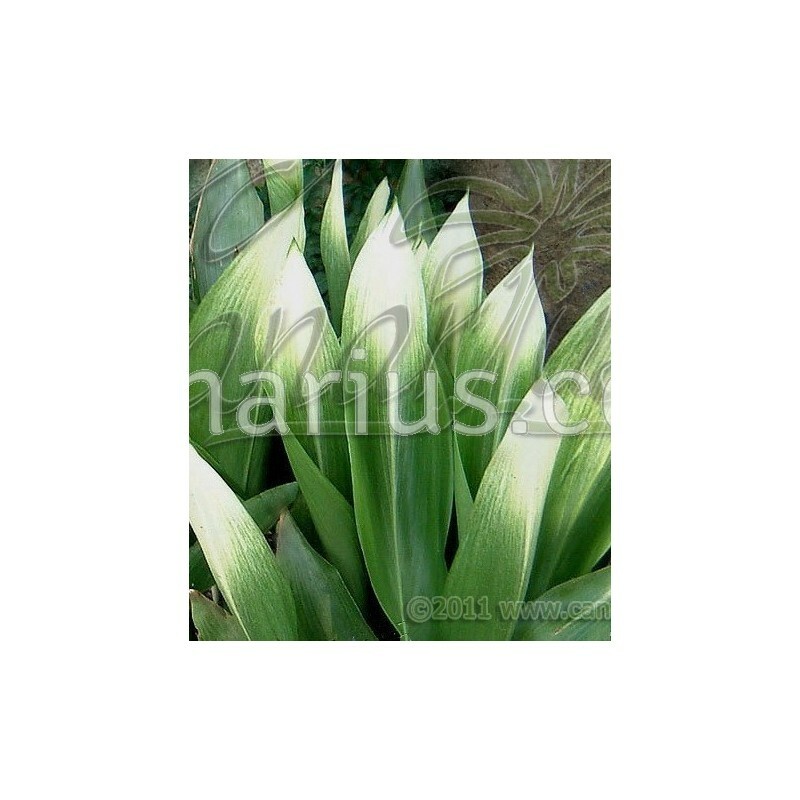 This is a hard-to-find Japanese selection of "variegated" Aspidistra. Asa Ahí is not striped, but each leaf will develop a cream white "shade" in the upper part of the blade. Hardy as usual ! 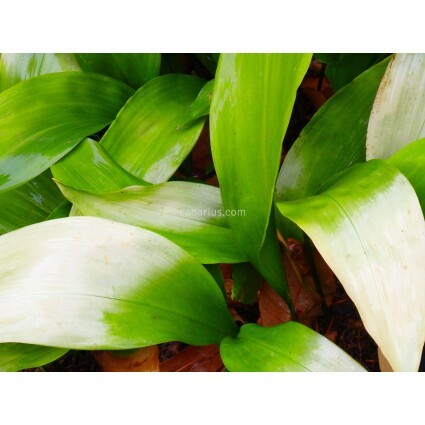 Aspidistra Asa Ahí will develop the best variegation of in shade. Patience is needed: new leaves take up to two years to develop the white tip colour! Sunlight will give an overall cream tome to the whole leaf. It grows well in lots of conditions as it is resistant to drought, deep shade, salt, wind, frost. 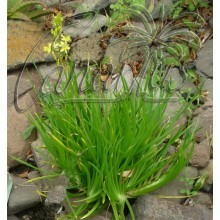 Aspidistra works well in floral display as cut leaves are long lasting. Aspidistras make excellent pot plants, they can live indoors in the house or outdoors. 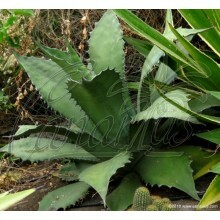 They give an exotic accent to any garden, because of their wide, lush leaves. 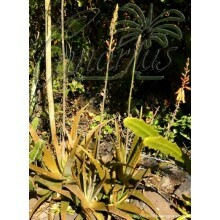 In the tropical-looking garden, it can act as groundcover, backfilling, or as a potted plant. We ship a bare rooted block of rhizomes with roots and leaves. You can pot it in a 15-17 cm pot. Pay Attention: In some seasons of the year, we might trim back part of the foliage. Don't be scared! The plant will grow back quickly and fill the pot in a few months. Also, sometimes our plant will not show the typical white shade, because we grow them in high light in order to produce stronger, denser rhizomes. Don't worry ! 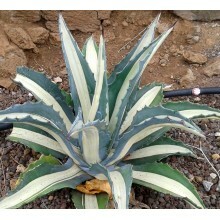 All leaves will become typically variegated.